Welcome to our Partners Page. Please scroll down the list to review our various sales channels and industry partners for integrated products.Please click on Contact link above for product sales inquires or support. Anatronic S.A is one of the leading distributors of electronic active, passive, electromechanical components, modules and subassemblies and displays in the Spanish and Portuguese electronics market since 1982. AW&F Technical Concepts GmbH develops & supplies technical concepts and provides project-related Consulting & Design Services for audio, video, data-acquisition and telemetry applications. AW&F serves customers in Germany, Switzerland, Austria, Belgium and the Netherlands as a value-added Reseller/Distributor & Integrator. DIMAC is a professional sales organization, established in 1979, dedicated to serving the European market with High Reliability electronic products. Our mission is to provide customers with products and services that require a unique level of technical support. Our services include design, prototypes and subsystems production, hirel procurement activities, design analyses (WCA, FMECA, radiation) and additional screening/testing. Metromatics continuous goal has been to represent quality suppliers of defence products and industrial sub systems and to on-sell these products to our own customer base in Australia and New Zealand. An independent company, established in 1971, Milexia distributes throughout France and borderlands a wide range of complementary products : Avionics, RF, Microwave and Fiber-optic components and instrumentation for electronics and physics. RECAB provides high end standard embedded computers and Custom Off The Shelf solutions to demanding OEM’s primarily in the nordic market place. Traditionally customers choose between standard COTS or full custom solutions. RECAB’s trademark is COTS Custom-Off-The-Shelf. By reusing existing platforms and building blocks from global manufacturers, we enhance them to perfect fit for the customers application. By this, customers now reduce risk, time-to-market and save development and consultancy costs. 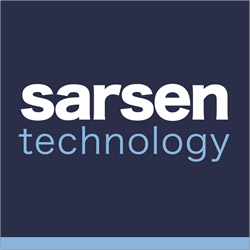 Sarsen Technology is an industry leading technical representative and distributor of embedded solutions, hardware and software, specializing in single board computing, FPGA, digital signal processing, data acquisition and high-speed data recording COTS technology. With offices in the market town of Marlborough, UK, Sarsen Technology supports a diverse range of mission critical applications including avionic instrumentation systems and displays, radar & sonar, electronic warfare, software defined radio, LTE test equipment, unmanned vehicles and UAVs. Spirit of Innovation provides a comprehensive suite of Technology, Services, and Innovation Consulting for Canadian Business. We are Customer Centric; our goal is to provide value by making available the latest technology innovations for Aerospace, Defense, Space Systems, High-Tech, Industrial and Resource industry verticals. Trident Infosol Pvt Ltd was set up with a mission to bring to the Indian embedded market the best-in-class solutions in COTS hardware and application development tools.Since 2000, Trident has been successfully delivering cost effective solutions to the product developer. We Support a wide range of applications in Aerospace and Defense, Consumer and Industrial Electronics, Telecommunications, Automation, Transportation, Automotive and Medical Electronics. Extreme Engineering Solutions, Inc. (X-ES) designs and builds single-board computer and I/O products within the embedded computer industry. X-ES offers cutting-edge performance and flexibility in design plus an unparalleled level of customer support and service.